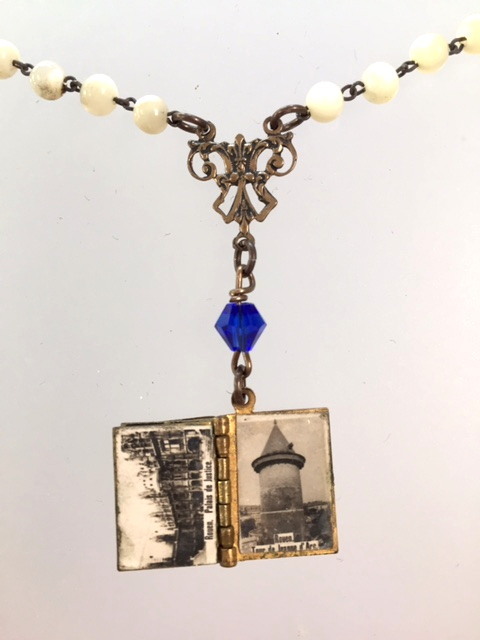 A one of a kind artisan designed piece, a French Turquoise Blue enamel antique C1890 Art Nouveau Souvenir Photo Locket Book from Rouen, France. The book holds 6 related photos to the village of Rouen, including the St Joan of Arc Tower. The photos are in very good condition, especially considering the age of this book. 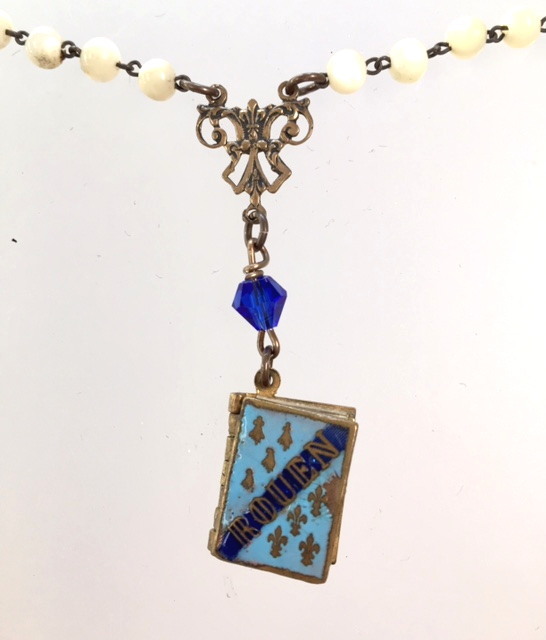 The pendant is suspended on antique French genuine Mother of Pearl Rosary Beads completed with link chain, and is further embellished with a French Bronze medal embellished with Fleur de Lis, the French symbol of Royalty. The closure is an ornate bronze toggle with a French Sacred Heart Charm and Rhinestone cross. 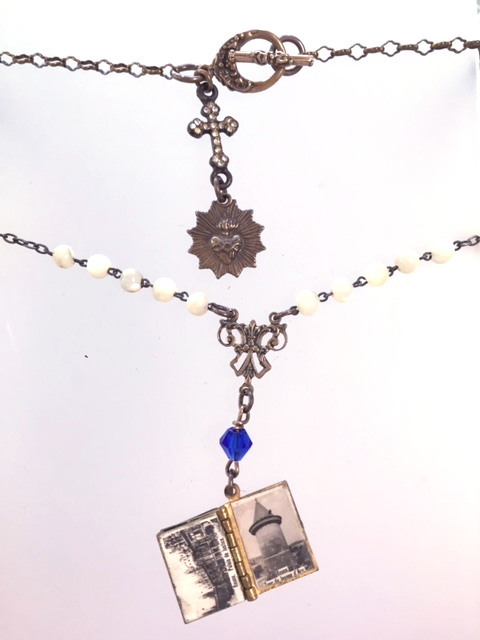 Necklace measures 18.5" Long; book is .5" by 5/8". Book tends to open when worn.